The full cast is now set for the national tour of If/Then. Joining previously announced Idina Menzel and some of her fellow co-stars from the original Broadway production are Janine DiVita as Anne, Daren A. Herbert as Stephen and Marc de la Cruz as David. The cast also includes Tony winner LaChanze, Anthony Rapp and James Snyder. The ensemble will feature English Bernhardt, Charissa Bertels, Xavier Cano, Trey Ellett, Kyra Faith, Corey Greenan, Cliffton Hall, Deedee Magno Hall, Tyler McGee, Joseph Morales, Emily Rogers and Alicia Taylor Tomasko. Menzel will kick off the tour, performing in Denver, Seattle, San Francisco, Los Angeles, San Diego, Tempe and Costa Mesa. The tour will launch on October 13 in Denver before continuing to cities across the country. Directed by Michael Greif, If/Then features music by Kitt, with book and lyrics by Yorkey. The writers earned the Tony Award and Pulitzer Prize for penning Next to Normal. If/Then earned Tony Award nominations for Best Original Score and Best Actress (Menzel). The tuner premiered at the National Theatre in Washington, D.C. in November 2013. 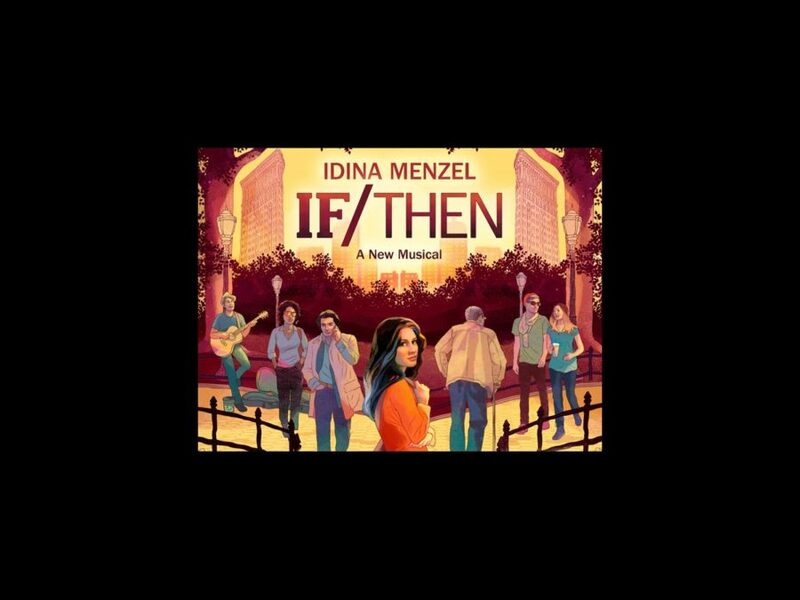 If/Then is a contemporary new musical that follows two distinct storylines in the life of Elizabeth, a city planner who moves back to New York to restart her life in that city of infinite possibilities. When her carefully designed plans collide with the whims of fate, Elizabeth's life splits into two parallel paths. If/Then follows both stories simultaneously as this modern woman faces the intersection of choice and chance. Can't wait to see If/Then in your city? Watch the video below to go behind the music and get into the gorgeous score of the musical!